Week 3 saw a double header in Endeavour Hills with the Barbarians taking on the Melton Wolves in their first ever encounter. In a scrappy game the Barbarians looked to take control of the game on the ground led by Running Back’s Matt Nemec and Johny Chen moving the chains behind a young and improving offensive line. Both backs looked to be able to gain at least 4 yards a carry with Johny Chen eventually finding space for a 20 yard touchdown run. QB Sean Roche was able to find WR Andrew Davis in the middle of the endzone for the 2PT conversion. The Barbarians Defense were looking for a much better performance to what they showed in Week 2 and they came out firing being able to stop the Wolves with 3 and Outs the majority of the day. Rookie DL Daniel Petrov applied pressure all day up front and veteran Linebackers Phil Gilbert & Daniel Sanderson were able to stuff any runs up the middle. 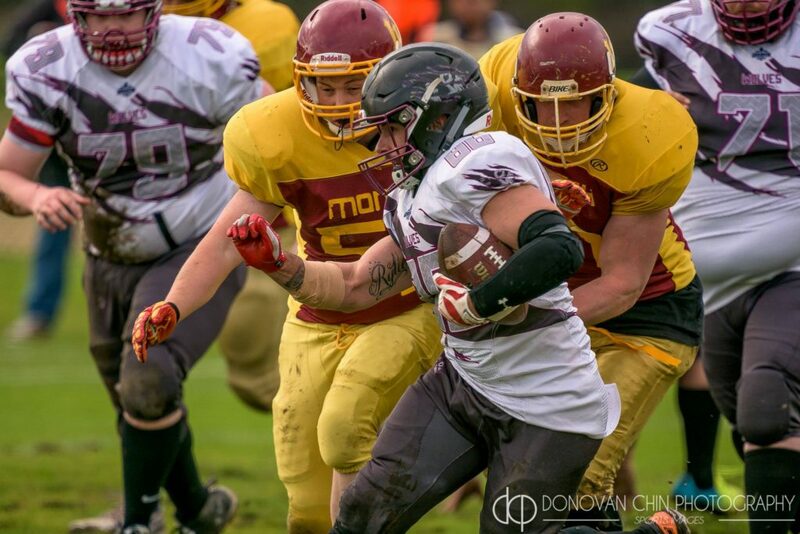 Although there was some great play from both sides of the ball, there were still plenty of mental errors occurring and enough so that the Wolves were able to capitalise with some first downs and visibly grew with confidence as the game wore on. Barbarians entered the Half Time break 8-0 over the Wolves. The Barbarians started the 2nd half well with CB Peter Lemalu able to intercept a deep pass returning the ball back into Wolves territory. With the Offense driving, they moved the ball all the way into the redzone but on 4th down with only inches until the endzone were not able to convert. The Barbarians defense still high on the interception previously were able to leave their mark by tackling the ball carrier in their own endzone for a safety bringing the score to 10-0. The Barbarians and Wolves would then go series for series with turnovers on both sides and the final score would remain 10-0. 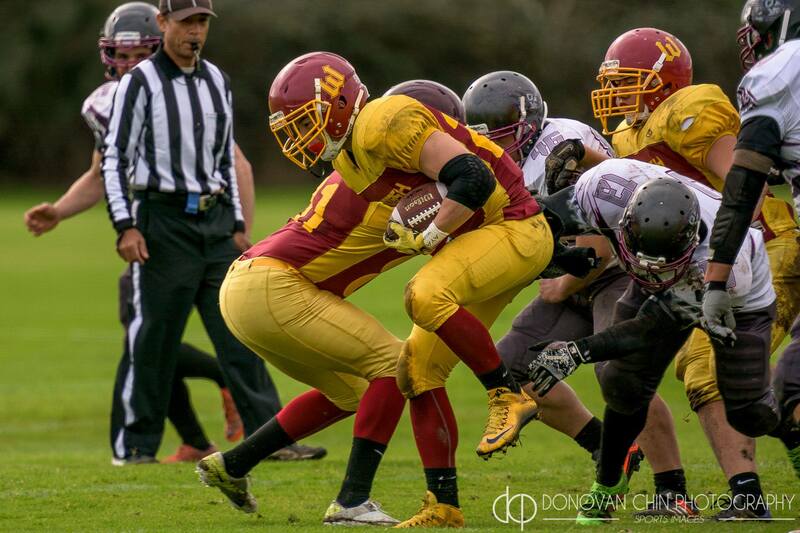 The Warriors then were able to hit the field against the Berwick Miners who had been struggling of late. In what many expected to be a comfortable victory, the Warriors fumbled their opening kick off return giving the Miners great field position early in the first but fortunately for the Warriors, the defense stood tall and returned the ball back to the Warriors who would see RB Luke Jackson run the ball at will and score a touchdown 2 minutes into the first quarter. From there the flood gates would open with touchdowns to Jackson, Glover, De Niese & Breuer. The final score was Warriors easily accounting for the Miners 68-6. Next week sees the Barbarians tackle the Gippsland Gladiators in Officer (3PM Kick Off) and the Warriors taking on the Western Crusaders in Footscray.